Five days of in-depth study with E71 on infusion and extraction, GTi technology, sensory profiles, speciality coffees and new accessories for baristas. 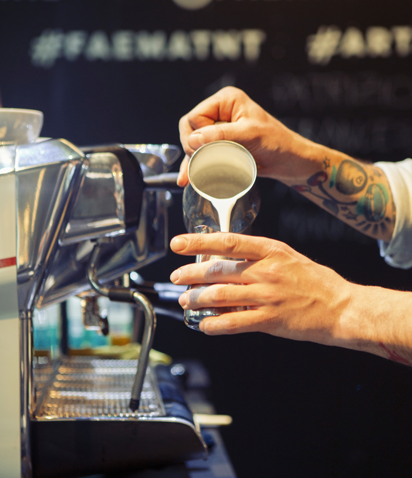 Plunge into the Art&Caffeine world in the company of the baristas taking turns on the stand to offer sessions in Latte art, brewing, sensory analysis and green issues. We'll be expecting you for training on the machines and special coffee tastings!